There is a update on tvshowsondvd.com it might not be realease in March not to sure now what's going to happen. I may buy it if it's a good deal. Will have to get a blue ray player. This is cool, but is it just me or do they look somewhat cartoon-ish? I guess I prefer the more realistic 'photographic' look of the originals. Dave, that scene where Pa tells the girls to move behind the bed is on my Pilot dvd, within the movie. Was thinking the same too. Don't like the cover. I'm in the same boat, so I ordered the DVD. On my Blu Ray TV DVD player, there isn't a dimes worth of difference between Blu Ray and DVD. I have a portable dvd player, And a DVD player on the t.v. Which wouldn't play the blu ray disc. If I could buy a portable blu ray player that be cool. No blu-ray here. I do just wish they would release new cast interviews from the 40th reunion. I know we have lost a lot of the cast but there are still a lot around too. IF they don't all come they could at least give an interview to put together for fans. If they release other seasons I hope or wish they have the Little House Years when they tell Albert how they got to Walnut Grove. But it might not happen. I think I read years ago something about it was not part of NBC or something. Ohhhhhhhhh!! Sorry about that! Very clever. Well that is certainly good to know, but I am sorry. What a disappointment, I'm sure. Welcome Chris! Can you elaborate on this? I'm just not following...is this a specific episode you're talking about? I'm not recalling where they tell Albert how they came to Walnut Grove and I'm really trying to rack my brain here. I do know there were some 'movies' revolving around Albert, specifically with his last appearance, "Look Back to Yesterday"---is that what you're thinking of? That is sold as an individual movie set (one of three on a dvd volume, I believe). It was in season 6 it was a 3 hour special and was at Thanksgiving time. Intro to "The Little House Years"
Oh, that's right! Gosh, I'd forgotten ALL about that! Thanks for the reminder! I am considering getting this. I still don't have any of the seasons but i don't have a Blu Ray player is it much better then DVD? They have the DVDs available for pre order on amazon pretty good price too. If you have a hi def TV with 1080p, and a Blu Ray player, Both DVD and Blu Ray are excellent. Blu Ray players really improve a regular DVD picture. To me, Blu Ray colors are a little more vivid, but on my Hi Def TV, the difference between the two isn't that great. With a Blu Ray, both pictures are really good. 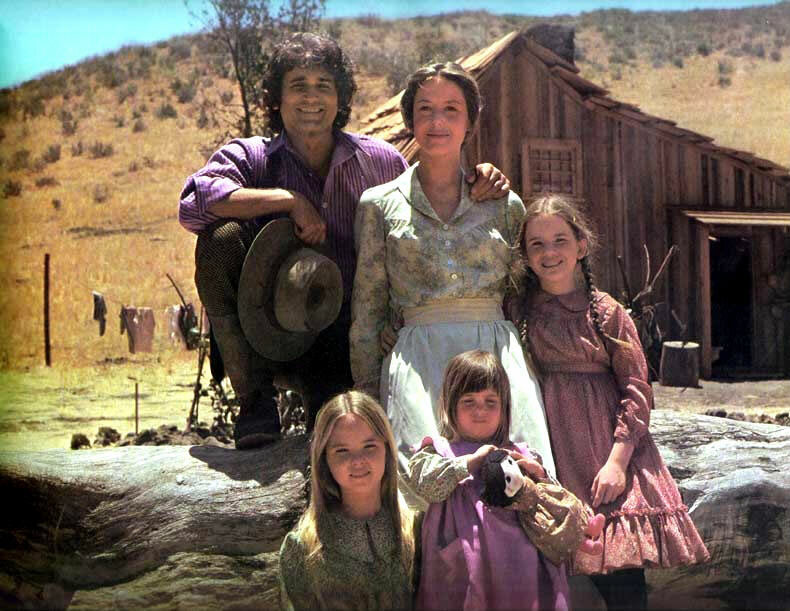 I've been following the Little House threads at http://www.blu-ray.com/ Someone posted a link to Walmart for season 2 on Blu-ray. It is listed as coming out on May 6. A couple screen shots from season 1 comparing the new hd version vs the old version have also been released. It looks like the 35mm film was scanned, but I hope they weren't overzealous with the digital noise reduction. 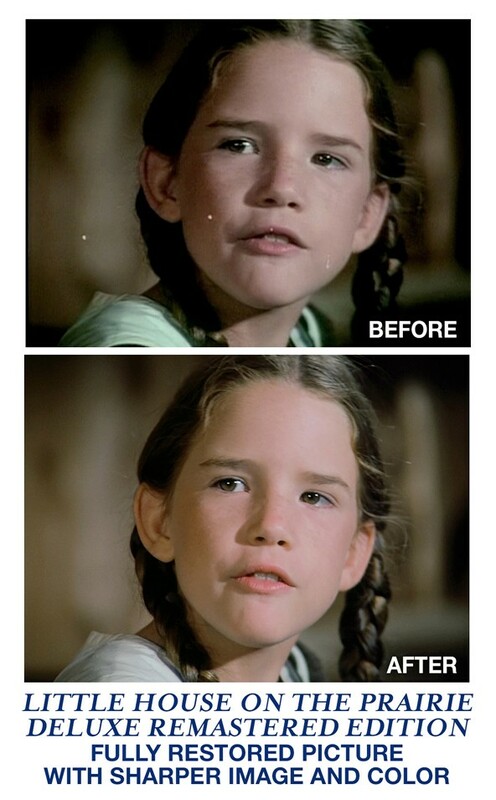 In the screen shots there is a lot more detail in Laura's eyes in the Blu-ray pic, but her freckles are harder to see. In the second picture, the stair case is much more visible and there is more detail on Charles' clothing. In some comments I read, some people don't like the brightness of the second picture, but I didn't mind it and couldn't find any fault in that picture like I did with the harder to see freckles in the first picture. The article says that the image is sharper with imperfections removed. I just hope they don't consider Laura's freckles an imperfection that had to be removed. I will definitely take the bad with the good and will be ordering this set. I'm not going to bash this release based on two small screenshots. Overall, there is a very slim chance of the negatives outweighing the positives when comparing this to the original dvd releases with their missing scenes and sometimes VHS level quality. You might consider seeing an Ophthalmologist Krissy! There's a BIG difference! I haven't decided what excites me more. 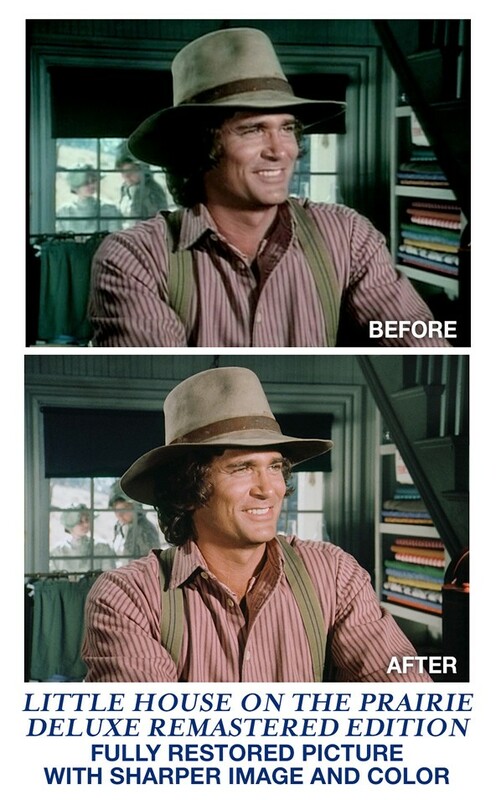 The picture quality or the restored scenes. Going to be fun to watch!